Relax, enjoy, dine, and meet. 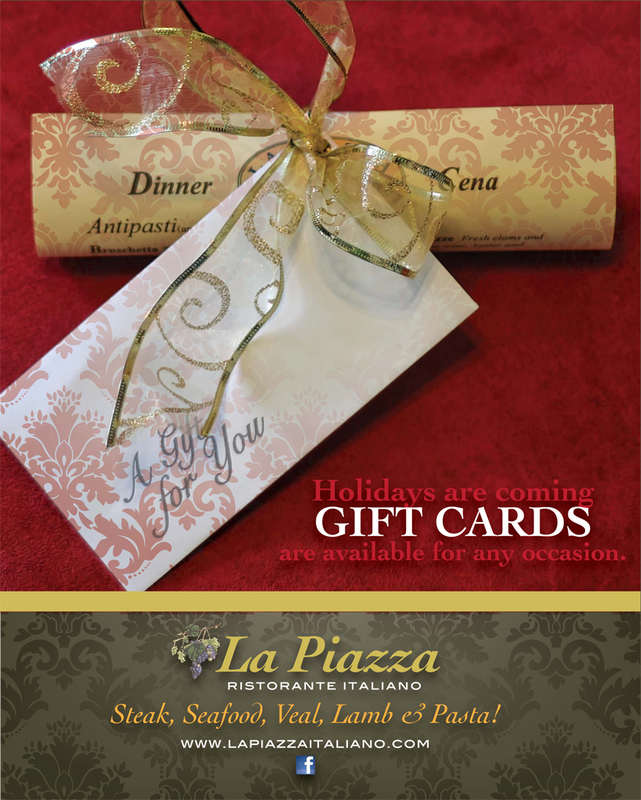 La Piazza is a popular destination for friends, family and businesses to gather. 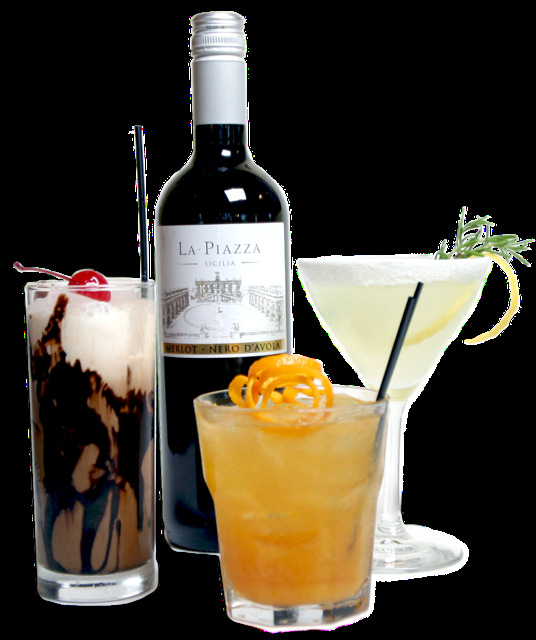 A popular gathering place for friends, family and business, La Piazza is a great place to get together with your group or celebrate special occasions. With the capacity of "The Banquet Room" we can host large parties or meetings. "The service was amazing, the bruschetta was fresh and delicious, our meals were prepared quickly and were delicious." -Geoff T.
"The whole experience was just great." 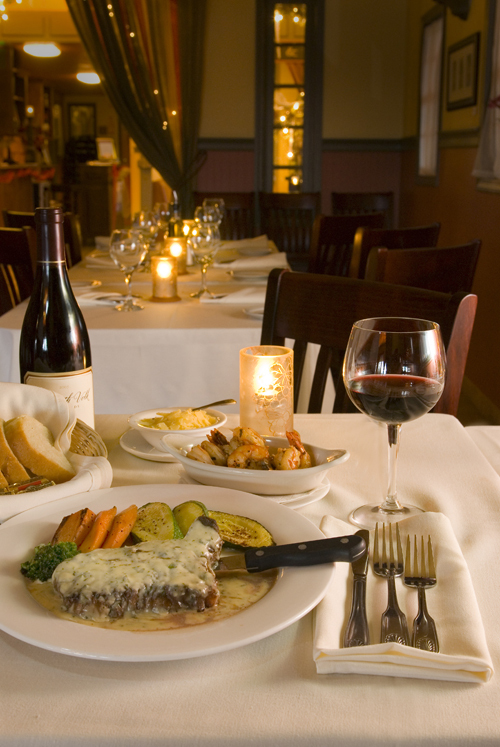 -Lulie V.
"Every dinner here has been nicely prepared, excellently served, and wonderful tasting." -Michael A. "This is the most authentic Italian food around and I've already started recommending it to my family." -O. T.
Chef/Proprietor Camillo offers daily rotating specials some of which include Cioppino, Lobster and Prawn Ravioli, New York Steak and Scampi, Rack of Lamb, Seafood Alfredo, Parmesan Pasta Bowl, Ribeye Florentine, Salmon Camillo, Breaded Calamari Steak appetizer and Seasonal Creme Brulee. The wine steward, Melina, thoughtfully selected wines from primarily California and Italy. She also insisted that the cocktails are made from fresh squeezed juices & quality liquors to reflect and compliment Camillo's fresh, made to order Italian cuisine. Look for last the Thursday Wine Flight Nights. While food is important, the service of our guests plays an equally important part. We want you to feel comfortable, as if you are a guest invited into our home. We strive to be attentive, but not intrusive and to anticipate your needs.